VILLAS AND APARTMENTS TO RENT IN THE CATALONIA REGION OF SPAIN. 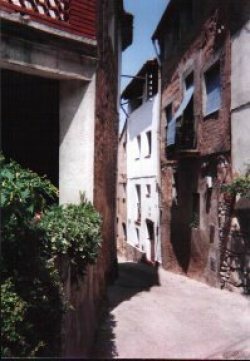 Welcome to our selection of holiday homes to rent in Catalonia, Spain. Catalonia is in Northern Spain and borders France, best known for it's capital Barcelona but also offers spectacular countryside including the mountain ranges of the Pyrenees to the North. It has a strong identity and is different from all the other regions in Spain having a cosmopolitan history. The Costa Brava runs from the North of Barcelona through the province of Gerona to the French border and has great natural beauty with steep cliffs and small natural coves with fine sand. South of the Costa Brava is the Costa Dorada known as the Golden Coast with beautiful open beaches and historic towns boasting fine architecture. The Costa Dorada runs down to the river Ebro basin a distance of over 200 kms. The most famous resort on the Costa Dorada is Salou which is one of Spain's premier beach holiday resorts. 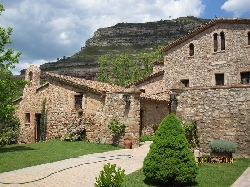 Looking for self catering holiday accommodation in Catalonia? Then below is a selection of holiday apartments in Catalonia and holiday villas in Catalonia that can be rented direct from their owners. You can either click on each listing for further details or you can use our search engine on the left if you are looking for something in particular.